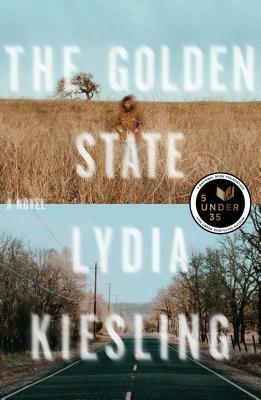 Lydia Kiesling’s Golden State asks the question: what if I just left this all behind? With her husband stuck in Turkey, his immigration status stuck in limbo due to a computer glitch, Daphne abandons her job at a prominent university and hits the road with her infant daughter to head for the fictional town of Altavista in the northern corner of California, but instead of finding the solace she hoped for Daphne is confronted with the reality of life in an isolated, small town, with residents that can just as easily spout islamophobic remarks or coo over her young child. At times a road novel, a campus novel and a classic California novel, Golden State is a nuanced and finely tuned look into our failings and blind spots as a culture as well as that ever elusive quest for a place to call home. “The Golden State is a perfect evocation of the beautiful, strange, frightening, funny territory of new motherhood. Lydia Kiesling writes with great intelligence and candor about the surreal topography of a day with an infant, and toggles skillfully between the landscape of Daphne’s interior and the California desert, her postpartum body and the body politic. A love story for our fractured era.” —Karen Russell, author of Vampires in the Lemon Grove and Swamplandia!